Sloggi Basic Midi 4 pack of briefs, these are part of the original Sloggi series and are made in high quality fine cotton and Lycra®.The sloggi Midi provides a perfect fit and superb soft stretch comfort. Please note that the 3+1 Free offer is only available as a special, time limited, promotion and will not be a continuity item, therefore we would encourage our customers to stock up on this great value pack. I always buy Sloggi briefs. They fit perfectly and are very comfortable. Sloggi, as usual, well fitting. Helpful staff, what more do you need? 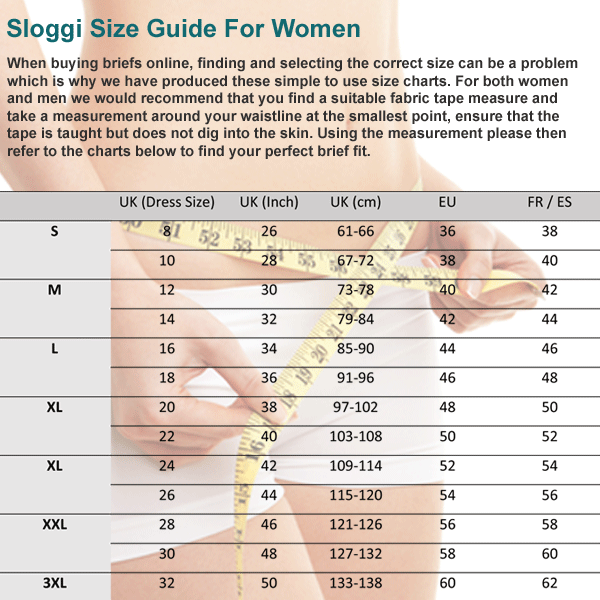 Sloggi briefs are comfortable and are designed to give a perfect fit. I can highly recommend this brand and have been wearing them for years.